Sunday was my daughter's birthday and she's 8! We made CD case calendars for a quick and simple craft - here's my birthday girl with hers! (Here's a link to the little printable calendar... very handy, and you can change the size and fonts.) We left our Christmas shopping off until this week... so town is super crowded with all the people coming down from the mountain villages to shop... most of them are not 'used to' town, which makes things even more hectic... not to mention that the traffic flow has been changed in town (still not sure why) so all the streets in town are one-way. Crazy. But we made it in, and got everything we were looking for, and even made it home before we expected! There is finally a McDonalds in town (24 service + a drive-through), so we ate lunch there for the experience of it... They don't have a full menu, and were already sold out of BigMacs when we got there (which was before lunch time, hello...), so we settled for double cheeseburgers instead. Funny thing - I went to the 'pumps' to get hot sauce and ketchup for our fries........ both hot sauce. So I went to the counter to ask for ketchup packets. I'm just so used to a handful of packets being tossed on the tray without a thought that it completely threw me off guard when he asked me "how many?" I stared at him like a complete idiot. I finally said, "...5?" Duh. I finally picked up this set of Lyra Polycolor pencils - this was the only set at the store, and Ihave been hiding it for months in the stack of watercolor pencils (bwahaha)!! These pencils are oil based rather than wax based - so I'm looking forward to learning how to use them! The most common pencil brand here is Faber-Castell, since they are produced in-country for export, so it was cool to see something of this quality. Tomorrow is a cooking and baking day, and we are having guests for dinner... then a few more days to rest, wrap presents, and celebrate together. Hope you are having a great week! Merry Christmas Dina!!! Your daughter is so beautiful! And I love the McDonalds story!!! 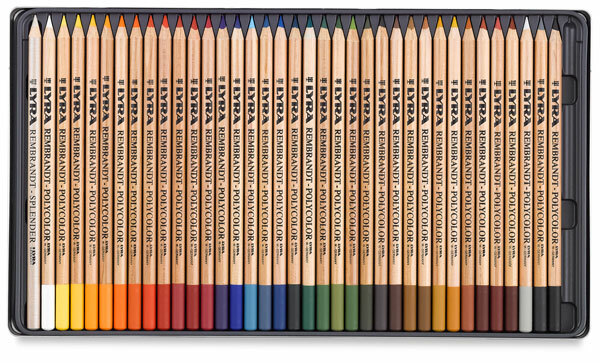 I have those Lyra pencils... they are (by FAR) my absolute favorite! :) Although I have to say that both the black & the white aren't as intense as prismas. I just wish they came in more colors! How fun to have a bit of America there - even if it's McD's. Still, I imagine that when I was 8 it would have been a major treat even though I was here. ;) Happy Birthday to your daughter! Happy Birthday and a big Merry Christmas to all! Okay, Dina, I came to your blog for some mojo and what do I see. You know the world is small when you see a MacDonalds where you are. Stay well, my freind!! Your family is wonderful!! !